Creator: Unidentified - possibly C.N Arnold. 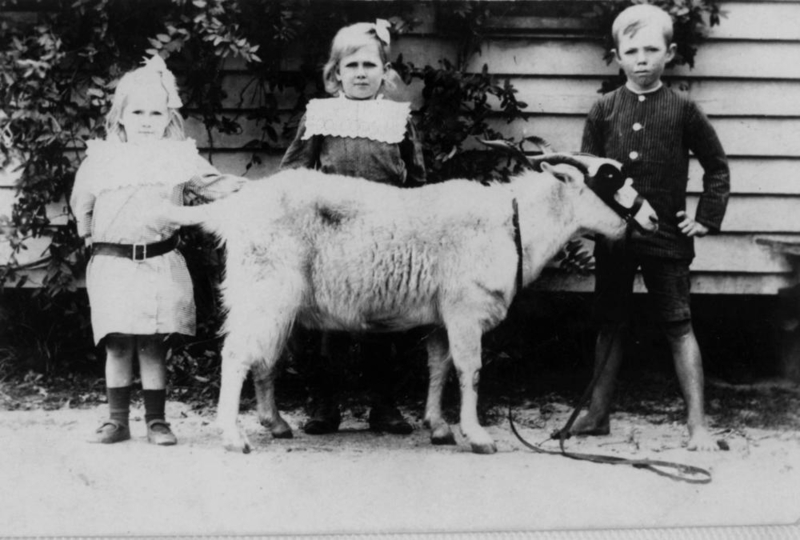 Description: Three children pose outside a house with a pet goat. The girls wear bows in their hair and lace collars. The boy wears a striped top, shorts and has bare feet. The goat has a lead and blinkers. The image is taken from an Empire Postcard.